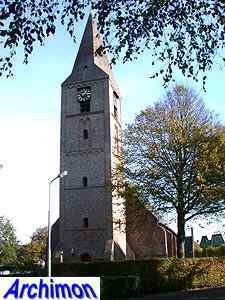 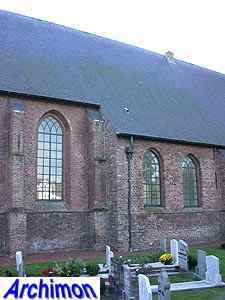 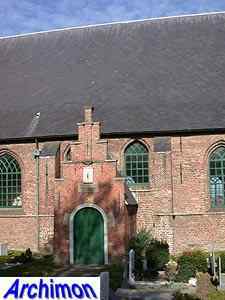 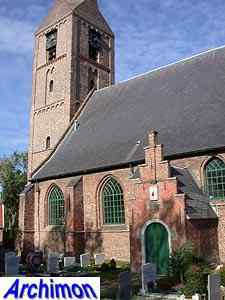 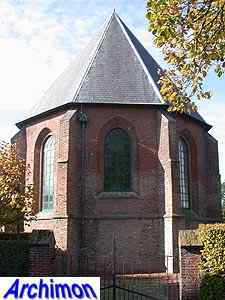 A first church was built in Uitgeest in c. 1300, a small cruciform church in Romanesque style, with a one-aisled nave and a narrower choir. 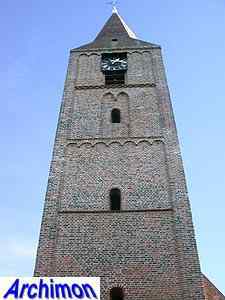 After the church was completed, the current tower was built in front of it. 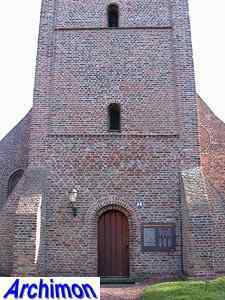 Although its outside was completely renewed in the 20th century, the Romanesque decorations of arches and niches are authentic in shapes. 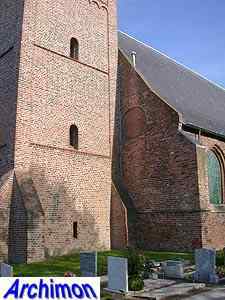 Remarkable are the low buttresses which support the tower. 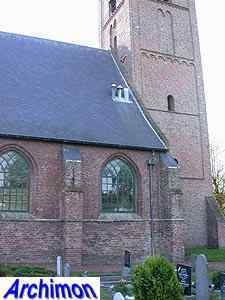 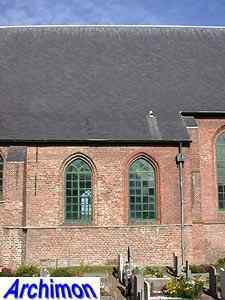 On top is a stone spire, similar to that of the old church of Heemskerk which is at a small distance from Uitgeest. 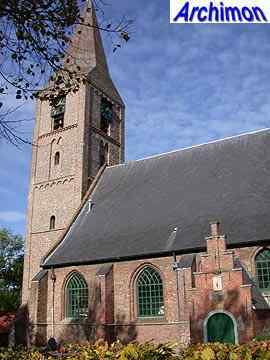 At the end of the 15th century the church was enlarged in Gothic style. 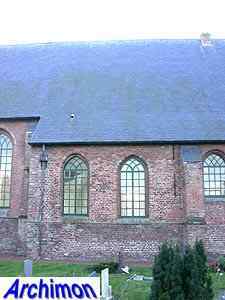 The nave was extended to the width of the transept, which now became the fourth trave of the nave. 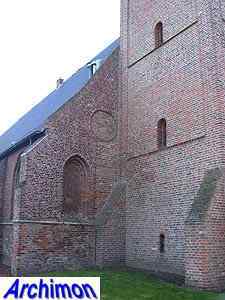 Traces in the facade, which remains of the Romanesque church, illustrate the difference in width between the old state and the new one. 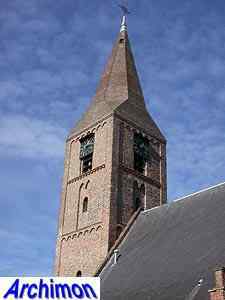 Also a new, higher roof was added and the small Romanesque choir was replaced by a big, Gothic one. 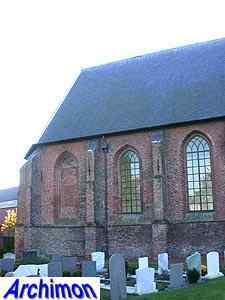 In 1594 the choir was destroyed by a storm and had to be rebuilt. 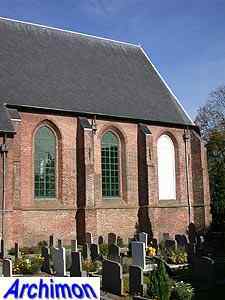 By 1635 the entire church had fallen into decay and needed restoration. 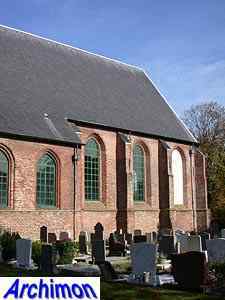 New wooden vaults were added, and the southern part of the nave was turned into a side-aisle by a construction of pillars and arches. 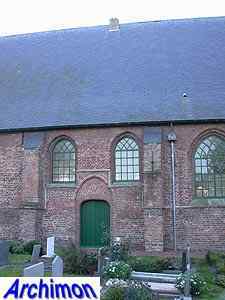 In the same period the portal on the south side was added. 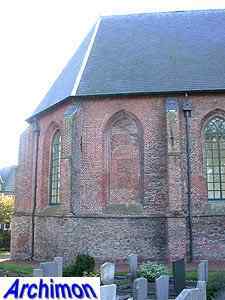 During a restoration in 1906 a similar construction was built in the northern part of the nave, making the nave three-aisled.